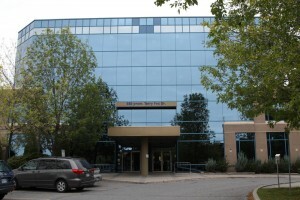 MyRO Office at 580 Terry Fox Drive, Ottawa, Canada. MyRO Electronic Control Devices Inc. have been serving PCB and PCB Assembly customers and providing just-in-time manufacturing on the Internet since 2002. Our mission is to become your Reliable Outsourcing Partner and to provide you an edge on cost and quality. MyRO’s headquarter is in Ottawa, Canada. Our manufacturing facilities are in ShenZhen, China. Our PCB factory has been in operation since 1994 and our PCB Assembly factory has been in production since 1996. Our online ordering and production management system (ERP) was in operation since 2002. We have since successfully completed over 35,000 projects and have nearly 4000 satisfied repeat customers. Our customers are from over 30 countries in various industries, including telecom, medical equipment, automotive industry, scientific research institutes, home appliances, consumer products, universities, etc. Our manufacturing and quality control processes are ISO-9001:2008 certified and conform to IPC-A600 (PCB) and IPC-A610 (PCB Assembly) standards. All our PCB/PCBA products are UL certified and RoHS compliant. We strive to improve our just-in-time manufacturing capabilities. Soon, we are going to introduce a “Weekend Express” quick-turn process which allows you ordering by Friday, having it made over weekend and shipped before the next Monday. We are also building a new facility of 150,000 square ft, to be ready for production by 2011.